Boone Gardiner is the Louisville areas oldest nursery and garden center, and among the founders of the industry in Kentucky. The Gardiner family’s history in the gardening business predates their arrival in Maryland from Britain. Francis Boone Gardiner and his brother moved to Fairfield, KY and established Gardiner Brothers Nursery. In 1899, Boone purchased Fondavera, an estate in Jefferson County, and turned his small homegrown nursery business into Boone Gardiner Garden Center, Nursery and Greenhouses. That location is named to this day Gardiner Lane in his honor. After Boone’s death in 1927, his widow Martha Elizabeth Leezer Gardiner ran the business and cared for the family until she passed away six years later. Martha’s death in 1933 left her only son Daniel Boone Gardiner, at age 16, responsible for the family (four sisters) and the nursery business. Daniel moved the nursery and family to the location at the intersection of Shelbyville Road and Hurstbourne Lane. This was a 60-acre nursery and garden center property that now contains North Hurstbourne Lane as well as many retail businesses such as Z Salon, Walgreen’s, The Bristol and the former Garrett’s restaurants. The business had to weather the Great Depression when flowers and shrubbery were a luxury few people could afford. Daniel persevered and was able to expand the family business from the 1940s thru the mid-1980s. 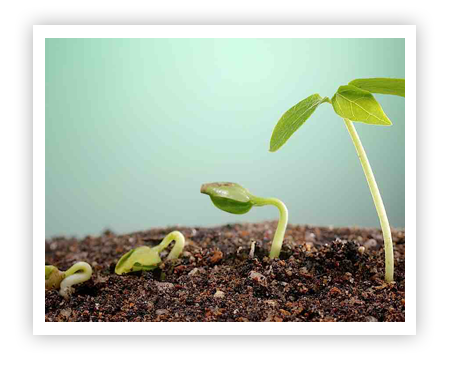 During this time, the company planted a significant number of nursery plants in and around greater Louisville. A few examples include downtown Louisville, Eastern Parkway, cemeteries (including Cave Hill), Bernheim Arboretum, the Parks system, colleges (including University of Louisville), country clubs (including Audubon, Louisville Country Club and Big Springs), and many of the most prestigious residences in the area. 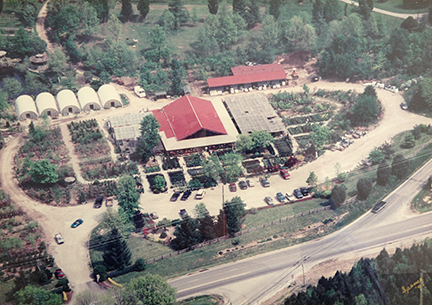 In 1985, when Daniel Boone Gardiner decided to retire, Boone Gardiner Garden Center moved to its present location, farther east on Shelbyville Road (U.S. 60) just outside of Eastwood. 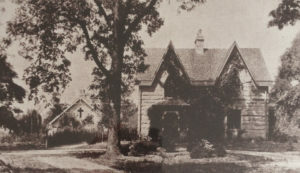 This was the location of Gardiner Landscape Company, owned and operated by his son Daniel S. Gardiner (Matthew’s father). It was with this move that the two businesses were merged and were run by Dan until his death in 1999. At the Eastwood location, Dan had 60 acres that contained the landscape business, nursery, garden center and his Watch-Us-Grow fertilizer production. In the 1990s on he started his dream project of Gardiner Park, a 50-acre residential development based on the village theme of the Cotswolds in Central England. Dan also contributed greatly to the landscape of the area. A few projects include: Oxmoor Mall, Valhalla Golf Course, Lake Forest, Polo Fields, Bellarmine University, The Louisville Zoo, and many horse farms in the state. 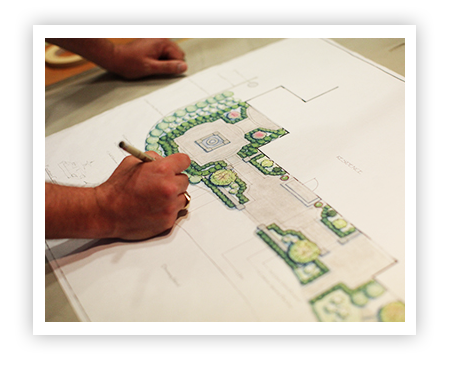 He specialized in residential landscapes and contributed to some of the most beautiful residences in Glenview, Prospect, Anchorage, Mockingbird Valley, Cherokee Gardens, Rolling Hills and Indian Hills to mention a few. 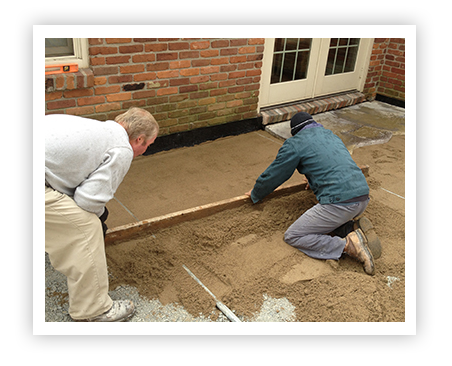 Over the years the Boone Gardiner family has been responsible for the training of many well-known Louisville nurserymen, horticulturists and landscape designers. 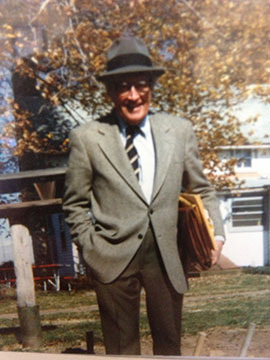 Herman Wallitsch, Sr. (Founder of Wallitsch Nursery and Garden Center) worked for Daniel B. Gardiner, getting his start in the business at Boone Gardiner. Clarence Otte (Frank Otte’s father) worked at Boone Gardiner and later went on to marry one of Daniel Boone’s sisters. Buddy Hubbuch, who was the well-known director of horticulture at Bernheim, worked at Boone Gardiner before going on to Bernheim. Daniel Fischer, Mike Jones and Mike Kennedy all worked for Daniel S. Gardiner at Gardiner Landscape Company among many others as well.